The plate deflects. 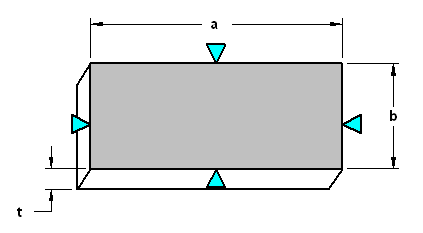 The middle surface (halfway between top and bottom surfaces) remains unstressed; at other points there are biaxial stresses in the plane of the plate. Straight lines in the plate that were originally vertical remain straight but become inclined; therefore the intensity of either principal stress at points on any such line is proportional to the distance from the middle surface.